New research conducted by evolutionary biologists worldwide paints cities as evolutionary “change agents,” says a trio of biologists from the University of Toronto who selected and edited the studies. A compilation of 15 new research papers, published as a special issue of Proceedings of the Royal Society B, confirms that cities frequently alter evolution by natural selection and species are adapting to cities worldwide. As well, new commensal species – those that live alongside humans – have arisen in response to the environmental demands and challenges imposed by urbanization. “These papers greatly advance our knowledge of urban evolutionary biology,” says Marc Johnson, an associate professor of biology at University of Toronto Mississauga and director of the Centre for Urban Environments. “These are the same evolutionary mechanisms first identified by Charles Darwin more than 150 years ago and the findings from these studies will be increasingly important as more and more of the world’s population flocks to urban environments. Johnson co-edited the project with two PhD candidates in ecology and evolutionary biology, James Santangelo and Ruth Rivkin. Santangelo also contributed a study to the compilation, developing the first theoretical models that predict evolutionary outcomes in urban environments. Parallel evolutionary changes in diverse urban locations is shown by a study of burrowing owl populations in South America, a project led by Jakob Mueller in Germany. 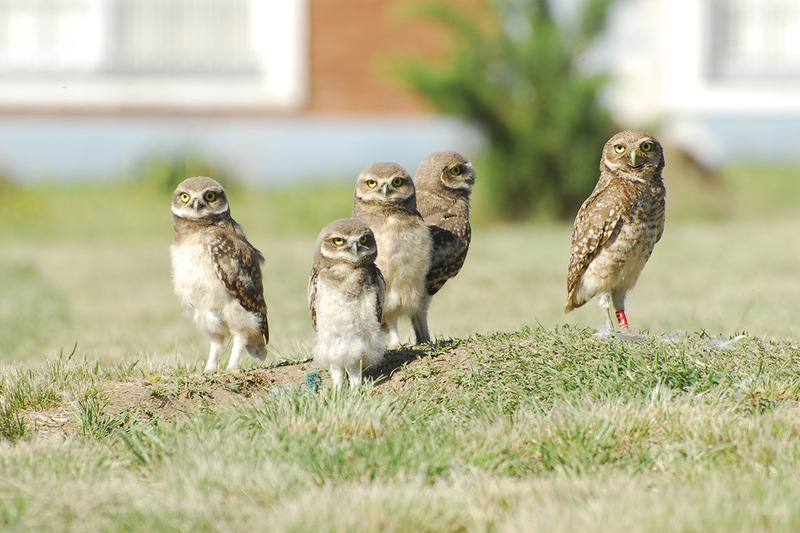 He and his colleagues determined that separate groups of burrowing owls native to various South American cities had developed similar genetic responses, even though there was no cross-breeding between the populations. Urban environments share numerous features that likely account for these similar changes. “This issue marks the beginning of a very important area of research,” Johnson says. “It will allow us to understand evolutionary biology more generally and to realize how important it is for humans and the environment in which we live. It also has important implications for understanding how organisms persist. “Understanding how cities shape the evolution of urban populations can facilitate designing management strategies for urban pests and help minimize the impact of humans on the spread of invasive species,” he says.